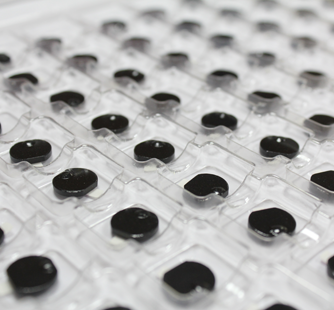 CERAtag untraceable is part of our range of compact ceramic tags. With a consistent size, they operate more efficiently and are readable at greater distances than conventional tags. This model is equipped with an untraceable function. Once activated, this function prevents the tags from being read remotely and protects your agents from potential being unintentionally detected. This feature can be easily deactivated using a tag reader in direct contact with the reader. 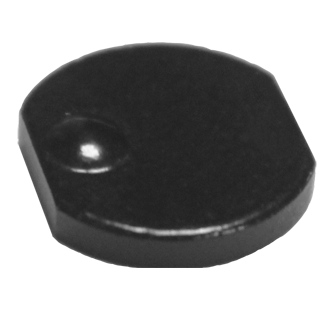 The CERAtag untraceable is a passive 3Kbit RFID tag which is compliant with the ISO-18000-6C standard as well as the EPC Class1 Gen2 V2.0 standard. It is capable of withstanding extreme temperatures (-55°C/+150°C) and it has a memory with a service life which can exceed 20 years at 85°C. Its compact dimensions (10 x 1.6mm) mean that it can be installed on narrow metallic surfaces. Communication with the chip, including access to the user memory, works with any standard compatible Gen2 reader. CERAtag untraceable has been developed for the military sector. Its solidity, compatibility with metal and its untraceable function make it a heavyweight ally in protecting military forces.